Unless you are one of the lucky people who have found a way to embrace your vulnerabilities, you have a blank. Some of us have more than one blank. Blanks are the things that stop us from living the lives we deserve because we are afraid to show our authentic selves to others. They are the things that hold us back because we don’t want to be rejected. We don’t want to feel disconnected from others, so we fight to change our blanks, numb ourselves from the blank, or live in denial by pretending the blank doesn’t exist. When we do these things we are living an inauthentic life. Is your blank rich, beautiful, skinny, smart, brave? Is it something else? Are there multiple things that fill the blank in that sentence for you? What is it that you place in the blank? Once you know what it is, you can work on embracing it. Now you may be asking yourself why you would want to embrace something that you perceive as negative. For example, if you feel you aren’t smart enough and it is holding you back from getting a job or promotion, why embrace it? Why not change it? Well, this goes back to what I mentioned above. When we fight our blanks we end up with results like being in debt, obese, addicted, trapped in unhealthy relationships, medicated, or living in constant emotional pain. We spend our time chasing the magic pill, fix, or solution to making the blank go away. We end up exhausted, worn out, and unsuccessful. But what if we embraced the blank and loved ourselves completely for who we are? Well….imagine what that would feel like. Imagine what it would be like to say to yourself “I am good enough, just how I am, just in this moment.” When we can do that we can then allow ourselves to let go of our quest for perfection and start to truly find happiness that doesn’t come in a bottle, pill, fast food bag, or in the arms of someone else. We can truly be happy with who we are and what we are in every single moment. And only then can change start to happen. You can then truly examine your blank and your feelings about it. You can figure out where the blank came from. You can ask yourself if the blank truly is a problem or if it is an unrealistic expectation. 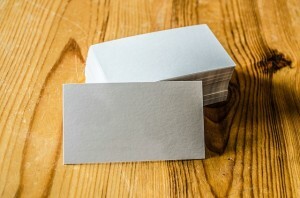 You can determine how important the blank really is to you or if it is something you just think you should care about and change. You can reasonably decide what it will take to change the blank because you won’t be acting and reacting solely out of emotion. So, what’s your blank? Not sure? Let’s figure it out together. Or if you already know, let’s work on change through acceptance not through struggle. So true. I think we all have many different blanks, I know I do!